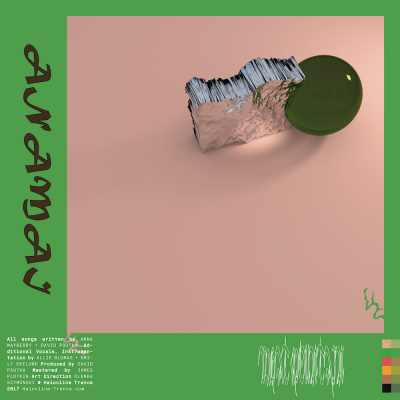 ANAMAI is the collaborative project between Anna Mayberry and David Psutka (who also releases music under the name Egyptrixx) and What Mountain is their second full-length together. Building off of the drones and guitars that filled their debut, the new record uses Mayberry’s delicate and expressive voice as the primary instrument. A dreamy, ambient folk record, What Mountain looks toward the simultaneous chaos and bliss of nature for meaning, stripping away most of everything in order to express bare and plaintive emotions. Most of the tracks here are slow, repetitive compositions that ride the line between meditative and monotonous. What keeps things from crossing over into boredom is Mayberry’s expressive singing and her ability to show progression lyrically when the music stays relatively stagnant. As such, the best tracks here present a narrator in constant motion, a stream of consciousness from someone working through dilemma. The track “Air to Blood” finds Mayberry’s character at one point equating her feelings to “climbing a mountain until it erupts,” but later saying that she’s “climbing a mountain before it erupts.” This difference between “until” and “before” may seem trivial, but the sentimental effect is drastic. Over a synthesizer beat that sounds like a funeral march, the desire to face danger head-on (climbing until) gets replaced with the need to finish a task at hand before total destruction (climbing before). As the song progresses, the dichotomy between what one wants and what actually happens becomes more apparent, making the vague struggles detailed in the lyrics seem all the more desperate. More than just mountains, Mayberry’s lyrics reference lakes, oceans, the sun, colors and the natural tendency of blood to harden in the cold. By evoking natural chaos, this furthers the lyrical messages of desperation and the inability of humans to control fate. “Left alone, you might’ve drowned in a private ocean,” she sings on “Crossing,” warning someone of the dangers of going it alone. Similarly, the way Mayberry’s vocal harmonies are layered feels natural and flowing. The number of voices will grow and shrink seamlessly, flitting between choirs of ghosts and bold, solitary performances. The problem with What Mountain is that about half of its tracks are unnecessary filler. In between nearly every vocal feature is a brief, flat, ambient interlude, save opener “The Choss.” The track uses a repeated woodwind line and light guitar lines to introduce the dreary atmosphere that plagues What Mountain. Others aren’t as potent, mostly due to a failure on ANAMAI’s part to flesh out their ideas. Both “Midwin” and the final interlude, “Brother Green, Sister Blue,” simply feel like short breaks between the lengthier tracks, filtering through airy vocal harmonies and repetitive guitar playing. The ideas are glorious, with many of the textures showing potential to mutate into gorgeous ambient pieces, but the one to three minutes many of the interludes take up is nowhere near enough to see these ends through.